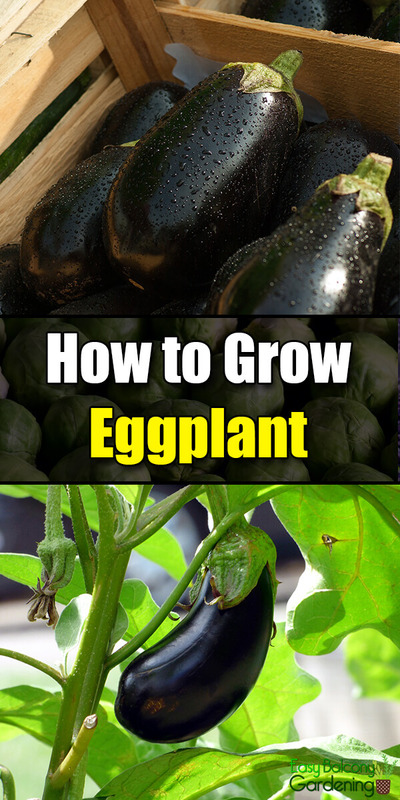 When growing eggplant, you will learn fast that it wants sunshine and a moist medium. 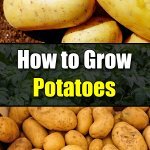 Neglect its watering requirement, and it will give you small, bitter produce. Go for the drip irrigation approach, and you will fare better. The eggplant is from the same family as the pepper and the tomato. It is an excellent source of chromium, copper, dietary fiber, folate, manganese, potassium, thiamine, and vitamins B6 and K.
The eggplant is propagated from seed. 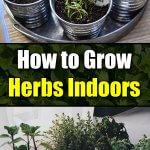 Start indoors about ten weeks before the expected last frost in your area. Sow the seeds a fourth of an inch deep. The soil temperature should be somewhere between 75°F – 85°F. Keep the soil moist, not wet. 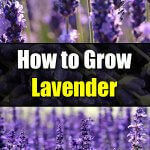 It takes up to two weeks to germinate. Gradually acclimatize the seedlings, but no temperature lower than 60°F. If purchasing your plant from the nursery, avoid gangly tall ones and those with blossoms. It takes approximately four months for fruit-bearing, and you should harvest before the first frost of the season. Plan your planting date. You should, however, wait until after the last threat of frost. If it is too much of a problem, opt for container gardening. Select a protected location with full sun and rich well-drained soil. The pH should be 5.8 –6.5. Absent a test report, work into the soil about two inches of well-rotted compost, particularly ripe manure, and a 5-10-10 timed-released fertilizer. Follow the directions on the fertilizer label. Space the eggplants about a foot-and-a-half apart, and about three feet apart between rows. Transplants should be planted the same depth as when they were in the containers. Mulch generously with organic matter like grass clippings, shredded leaves, etc. Check carefully for signs of pest and diseases. You do not want to start with problems. Mulching can help with soil moisture and weed problems. You can use either a stake or small tomato cages to support the eggplant when fruit bearing. The stakes should be placed at the time of planting, about two inches from the plant. Use plant covers when the occasion calls for them. If you live in cool climates, choose dark-colored five-gallon containers. They can make the soil about ten degrees warmer than ground soil. If your weather is unpredictable, use a mobile platform. During an unexpected cold spell, you can easily keep the plants in a sheltered sunny spot and bring them in for safekeeping when the temperature dips. Some examples of container eggplants are Black Beauty, Casper, and Dusty. You can plant about four to five eggplants per five-gallon container. The most common disease afflicting the eggplant is the verticillium wilt, a soil-borne fungus. If you have that problem, you are better situated growing eggplants in containers. Use premium potting mix, or you can make your own. There are also the potato flea beetles, which prefer eggplants over potatoes. 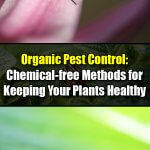 You can hand pick the pests and the eggs, or dust with Rotenone, a natural insecticide. Do not forget the underside of the leaves. Use sharp pruning shears making sure that every fruit has some stem attached to it. 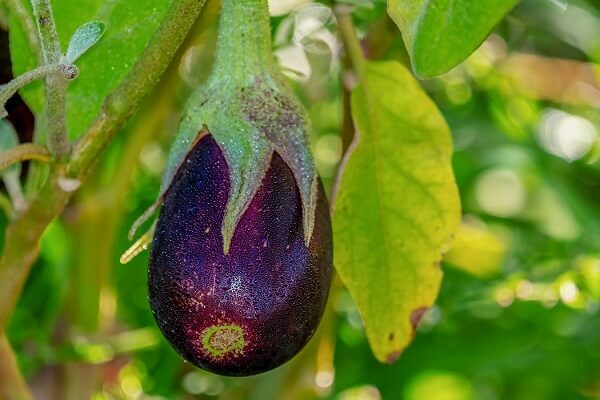 The eggplant is ripe if the light touch of your fingernail leaves an impression on its skin. The skin should still be firm and glossy. You can harvest the eggplant upon reaching half its normal size. 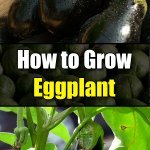 Growing eggplant is easy, especially if you have grown tomatoes before!